Need to repair your concrete quickly with crack repair or patching? 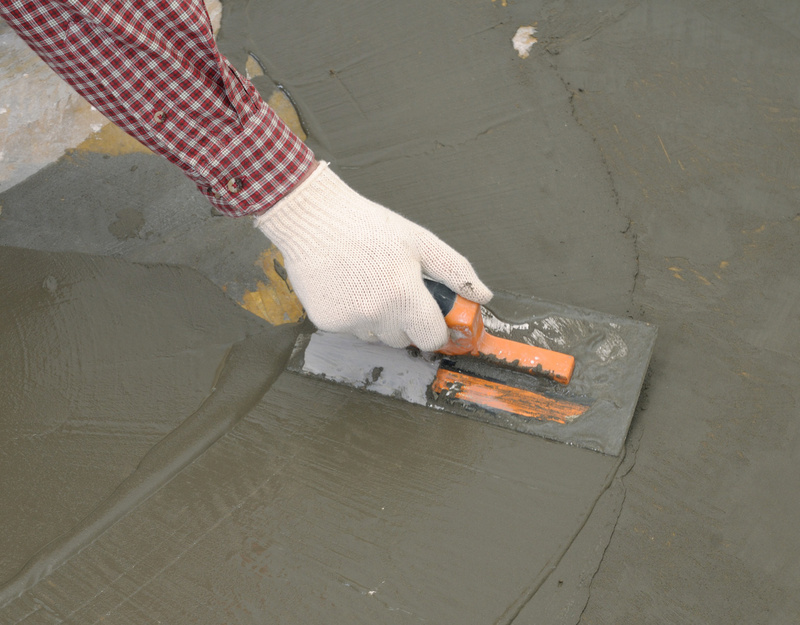 Wondering what the best product is for a DIY concrete and crack repair project? We have the right solutions for you to repair your concrete flooring or driveway quickly. See a listing of how each issue you have can be matched with our products. You’ll find what you need quickly and can call us for pricing and order placement with delivery to your location. All of our products help with cracks and spalls with some also having the added duty of repairing expansion joints. • Some applications may be in areas where you have a damp surface, but need the concrete patched or fixed quickly. For damp surface applications for repair in an hour or less, we recommend using Kwik-Bond. Its excellent patching and repair properties make it moisture insensitive so that you can use it on damp surfaces for a quick set. • We also have Repox-Mix available as a crack and spall repair material using a high strength epoxy. It can be used on any surface that is damp both outdoors and on indoor slabs. Repox-Mix can also be used on any solid surface material, including, but not limited to brick, metal, wood, and concrete. • For some warehouses and plants, having the area operational for forklifts is necessary to keep business moving. Any extended downtime can affect operations. We’ve taken this into consideration with the design of Kwik-Crete. Using Kwik-Crete can repair control joints, spalls, and concrete cracks in as little as 8-12 minutes. It can also be used in low and high temperature settings from -35 ° F to 130° F.
• Kwik-Bond can be used for freezer, cooler, and holding box floor repair at temperatures as low as -20°F. Normally, you won’t have to shutdown the freezer to be able to use this product to fix holes, cracks, and spalls. • Kwik-Crete is used to repair control joints and concrete cracks very quickly, within just 8-12 minutes. It can be used in low temperature settings as low as -35 ° F.
• Kwik-Flex is used as a concrete crack repair product and expansion joint material for repair. It has the ability to be used in low temperature areas down to -60°F. It sets in just 1 hour. • On locations where you need to fix concrete that is located outdoors, Repox-Mix is able to be used in this setting. It is also used for damp surfaces. You can use it on multiple surfaces, including brick, metal, wood, and any other solid surface like concrete. We’ve also designed it to be used as an anchor for securing signs, posts, meters, and any other type of anchor you are using into the ground. • For USDA approved plants, the concrete repair applications need to meet USDA approval since these plants are federally inspected. While we understand the challenge these plants face with areas of their plant experiencing down time during the concrete crack or patch repair, we’ve designed products to have you back up and running quickly. The product we main recommend for this type of repair is Kwik-Bond. It’s designed for fast concrete floor repair for freezers, coolers, and holding boxes. It is easy to apply and can set in as little as 1 hour.